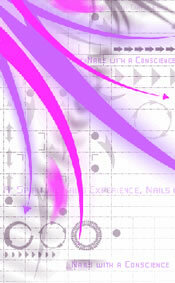 A Harmony Nail Spa is an amazing place off the beaten path (off the strip) in Las Vegas. Paula and S..
Mani was fast and I love the end result. Very nice staff! The best pedicure I ever had. The place is nice and cozy. Paula is so friendly and very much experie.. I have been coming here for nine years. Love this Place. My Acrylics are great! Always Beautiful! I ..
On our visit to Vegas we decided to pamper ourselves and found this gem of a place right off the str..